Live Stream Alpha is a complete collection of strategy and live streaming automation tools for fast ranking SEO and traffic generation. 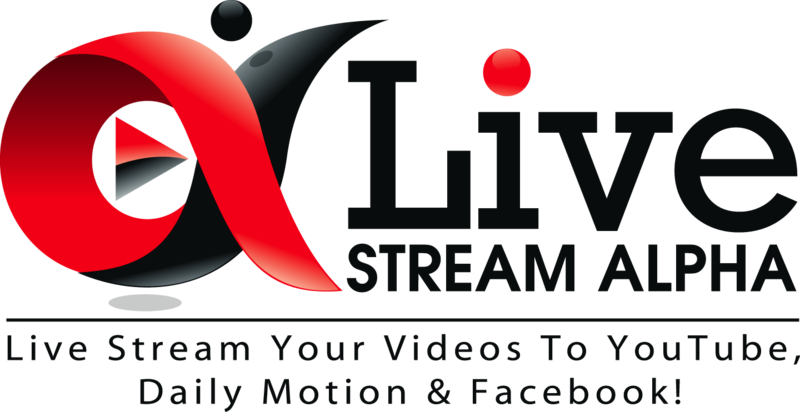 Live Stream Alpha will stream Pre Recorded Videos to Youtube Live Events, Facebook Groups, Pages & Timelines as well as Daily Motion. Other tools inside Live Stream Alpha Include a Broken URL finder, Google News Posting Tool, One Click Account Creation, Bulk Posting and a unique traffic redirect tool so that your backlink and promotional campaigns can be redirected to any future campaign with a simple 301 redirect that tles seconds to do. Price: $297 & $397 Plus Alpha Networks Upsell Starting At $49 Per Month. Video Synd Alpha is a hugely popular tool and one of the very few video distribution tools around today. The software is unique as it can create accounts on sites like Dailymotion as well as allow you to import accounts in bulk and works with YouTube Multi Channels. This product converts really well in webinars and with the recent addition of Alpha networks there is additional commissions to be made from monthly posting credits into the networks. Vid Attack Alpha will increase click through rates from search engine results to increase rankings but it doesn't stop there, it will also do high retention video views according to your own settings and can also view multiple blog posts to increase dwell time on your sites and build rankings for sites as well as videos. You will find many popular white label SEO services selling a similar service for as much as $269.00 per campaign and also SEnuke are heavily promoting a similar tool in their $159 monthly product. We have priced Vid Attack Alpha to convert with lifetime price options below. ​Price: $297 & $397 Plus Alpha Networks Upsell Starting At $49 Per Month. TubeKit Alpha one of the most comprehensive video optimization tools around and has an inbuilt collection of strategies based around 35 different ranking factors for ranking videos on YouTube and Google, and I have made them as simple as one click optimization to reduce learning curve and move through campaigns fast. We have seen several launches over the past couple of years proving that a video optimization tool with scoring and competition analysis can convert really well. Tubekit Alpha has been around longer than most of these and has never been in a launch outside my own list. This is ripe for high converting webinars to earn affiliates significant commissions! ​Price: $197 & $297 Plus Alpha Networks Upsell Starting At $49 Per Month.